Certain Ahle Tasannun scholars have dismissed reports of an attack on Hazrat Fatima Zahra’s (s.a.) house by offering vague and absurd reasons in defense of the companions. Their primary objective is to portray the companions as paragons of virtue and decency (Adalat-e-Sahabah) at all cost, even in the face of irrefutable reports to the contrary. We analyze over here the weak defense mounted by scholars like Ibn Abil Hadid and Shah Abdul Aziz Dehalwi to clear the names of the companions behind the attack on Hazrat Fatima Zahra (s.a.). First and foremost by making such a strong defense for the companions Ibn Abil Hadid has put to rest all doubts of being a Shia. Some from the Ahle Tasannun continue to claim he was a Shia despite loads of comments of this nature where he has squarely defended the companions and rejected categorical beliefs of the Shias and denied the excellence of the Ahle Bait (a.s.). Coming to his statement on the attack – we fail to understand how someone who has compiled a 20 volume commentary on the Nahjul Balaghah can give a clean chit to the companions and all ‘just’ Muslims, in clear contravention of the Holy Quran and the Sunnah. When Allah hasn’t given a clean chit to the companions and wives and Muslims, who is Ibn Abil Hadid to do so? The Holy Quran is replete with verses criticizing the companions for one misdeed after another, some so serious that they take the companions out of the realm of Islam. For the sake of brevity we cite a few verses and historical incidents to show that the companions were prone to making grievous errors. And to absolve them of the attack on Hazrat Fatima Zahra’s (s.a.) house on the so-called theory of justice and decency (adalat) is plain ignorance, if not denial. The Holy Quran has highlighted on more than one occasion how the behavior of companions and wives troubled him (s.a.w.a. ), which became a cause of their eternal damnation. The companions are accursed in the world and the hereafter for troubling the Prophet (s.a.w.a.) but yet Ibn Abil Hadid and Shah Abdul Aziz Dehalwi believe that they are just and could not have attacked Fatima Zahra (s.a.) house! The companions troubled the Prophet (s.a.w.a.) in many other ways like threatening to marry his widows. Whether or not they married the wives is a different thing; just the intention speaks volumes of their character and their indecent nature – a far cry from the decency that Muslims attribute to them. Why should it surprise anyone if such indecent companions burn the house of the Prophet’s (s.a.w.a.) only daughter? Treachery of the companions and wives was rampant as Holy Quran has repeatedly indicated. The Sunnah has identified the guilty wives behind this episode; interested readers can refer to Sahih-e-Bukhari vol 6, book 60, hadith 435. If such treachery is evident in the Prophet’s (s.a.w.a.) lifetime, it is only natural to expect an even darker version after his martyrdom as evidenced in the attack on Hazrat Fatima’s (s.a.) house. It is categorically documented by the Holy Quran that the companions behaved treacherously by turning their backs on Allah and His Prophet (s.a.w.a.) in key confrontations like Ohad and Hunain, among others. Whether or not they admit it, but abandoning the Prophet (s.a.w.a.) (with just Ali Ibn Abi Talib a.s. for company) in the midst of bloodthirsty enemies amounts to an assassination attempt by indirect means. Therefore, it should come as no surprise if such companions turn their backs on Allah and the Prophet (s.a.w.a.) by attacking the house of Hazrat Fatima Zahra (s.a.) in an attempt to assassinate the members. Although a small offense according to the companions, raising the voice in the Prophet’s (s.a.w.a.) presence was a heinous crime near Allah. A crime that the companions committed regularly and for this they were punished with nullification of all their deeds. When the companions couldn’t even converse with the Prophet (s.a.w.a.) with proper etiquette it is not surprising at all when they are embroiled in bigger crimes like attacking the house of his daughter (s.a.). Imam Ali Ibn Abi Talib (a.s.) was attacked on several occasions by the companions and tabe’een. 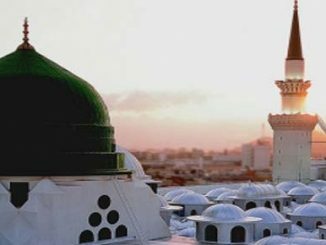 He was attacked immediately after the Prophet’s (s.a.w.a.) martyrdom for allegiance to Abu Bakr. The Muslims however deny this attack or in the least play it down. Years later Ali Ibn Abi Talib (a.s.) was engaged by the companions (Talha, Zubair, Marwan) and wives (Ayesha) in the Battle of Jamal. This led to the killing of tens of thousands of Muslims. Ali (a.s.) was challenged immediately afterwards by another companion – Muawiyah in the battle of Siffeen which lasted over a year and claimed even more lives than the Battle of Jamal. When companions can attack Ali Ibn Abi Talib (a.s.) openly in multiple battles with total disregard for his status, why should it surprise anyone if he is attacked after the Prophet’s (s.a.w.a.) martyrdom and if his house is raided and set aflame? Does Ibn Abi Hadid have any sturdy defense for the ‘decency of companions’ regarding the attacks in Jamal and Siffeen apart from the forged apology which the companions supposedly tendered to Ali Ibn Abi Talib (a.s.)? Even if all attacks on Fatima Zahra (s.a.) and Ali Ibn Abi Talib (a.s.) are justified or defended or overlooked how can the Muslim majority defend the companions and tabe’een in the attack on Imam Husain Ibn Ali (a.s.) in Karbala? Where is the so-called ‘Adalat’ of companions and tabe’een in the most inhuman attack in the history of Islam or rather mankind? Karbala is a reality and all Muslims are unanimous about it. For the intelligent Muslim, Karbala is a good enough proof for all attacks prior to it – be it in Jamal, Siffeen or the house of Fatima Zahra (s.a.) regardless of whether the Muslim majority acknowledges them. If the companions and tabe’een could attack Imam Husain (a.s.) in Karbala, then they could likewise attack him in his house in Medina in 11th AH after the Prophet’s (s.a.w.a.) martyrdom. So denying the attack on Hazrat Fatima Zahra’s (s.a.) house is just illogical when there is plain evidence of the aforementioned attacks later on. Why Ibn Abil Hadid acknowledges the other attacks by the companions and tabe’een and is particularly adamant on defending the attack on Fatima Zahra (s.a.) is a mystery.